Farhang Moghaddam, B., Fatahi, A. (2013). Qualitative Evaluation and Selecting the Optimum Public Private Partnership System for Transportation. International Journal of Research in Industrial Engineering, 2(2), 61-69. B. Farhang Moghaddam; A.A. Fatahi. "Qualitative Evaluation and Selecting the Optimum Public Private Partnership System for Transportation". International Journal of Research in Industrial Engineering, 2, 2, 2013, 61-69. Farhang Moghaddam, B., Fatahi, A. (2013). 'Qualitative Evaluation and Selecting the Optimum Public Private Partnership System for Transportation', International Journal of Research in Industrial Engineering, 2(2), pp. 61-69. Farhang Moghaddam, B., Fatahi, A. Qualitative Evaluation and Selecting the Optimum Public Private Partnership System for Transportation. 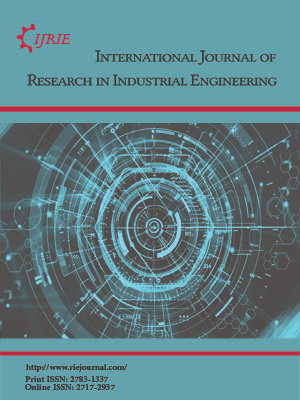 International Journal of Research in Industrial Engineering, 2013; 2(2): 61-69. 1Department of Industrial Engineering, Islamic Azad University, Parand branch, Parand, Iran. 2Department of Industrial Engineering, Islamic Azad University, Science and Research branch, Tehran, Iran.